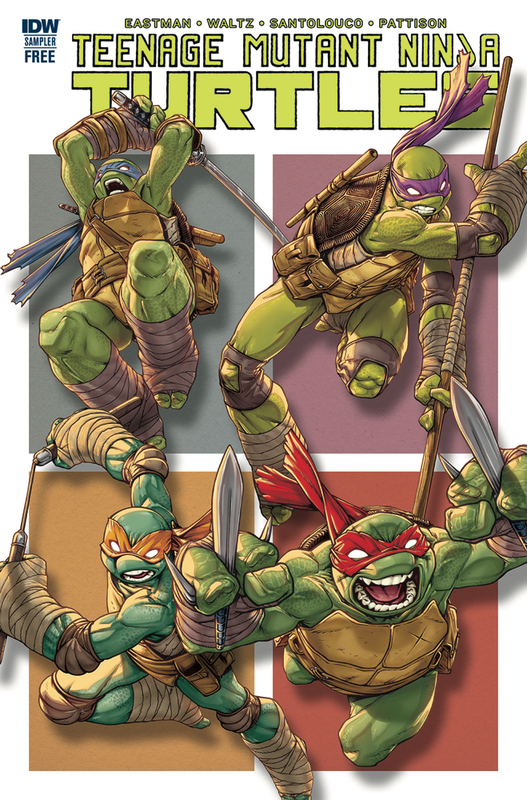 Wednesday, October 25, 2017, is TMNT Day at your local comic shop! 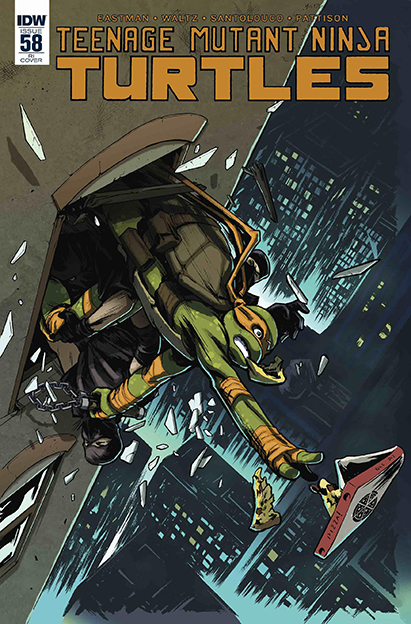 Celebrate the release of TMNT Ongoing Issue #75 by grabbing your favorite slice of cheesy goodness and get yourself up to speed on the most recent Teenage Mutant Ninja Turtles adventures. If you're not up to date on the TMNT's latest comic book adventures, IDW is providing a FREE TMNT sampler comic to get you caught up! 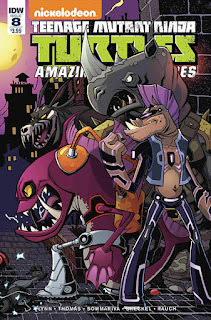 And if you can't get your hands on a printed copy, you can download a PDF of the sampler right here. It's a perfect time to jump in and enjoy what is now the longest-running, continuing TMNT comic book series ever! 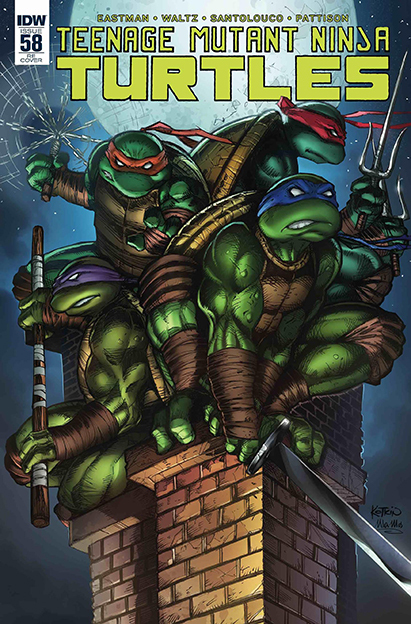 Many comic shops will be holding their own special TMNT events, so check in with your comic shop for any special deals or creator signings! And, as always, check in with Rich's TMNT Blog for complete information on all of the variant cover releases for TMNT #75. 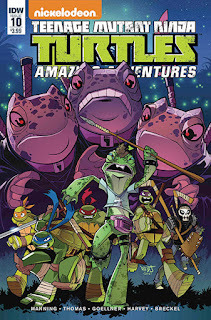 "The Frogs of War" Part 2! Napoleon's tribe have turned against him! Will the Turtles be able to save their surly friend before it's too late? 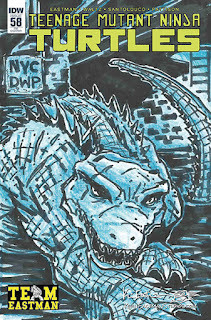 "Leatherhead" Part 3! 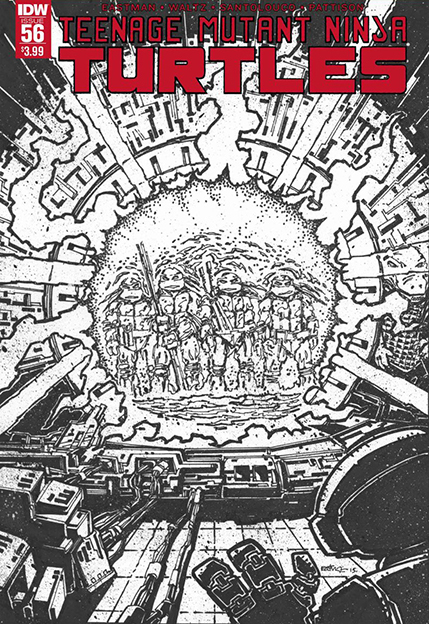 A violent skirmish between different factions breaks out in the Technodrome! 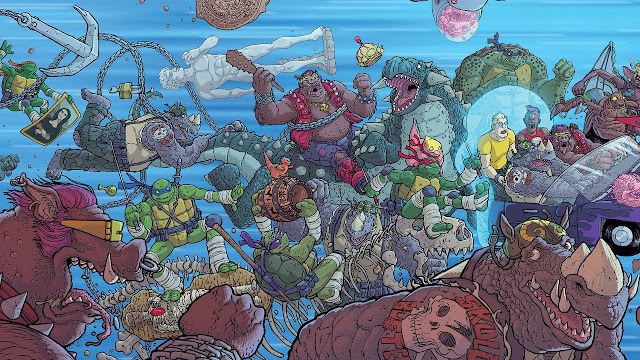 The Turtles will have to make a difficult decision if they are to save the Utroms race. Cover D: Alex Kotkin (pencils) & Ula Mos (colors). 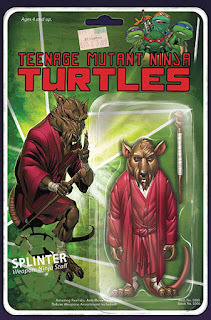 Retailer exclusive. Available exclusively from available from Anastasia’s Collectibles. 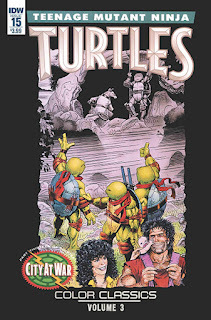 Retailer exclusive. 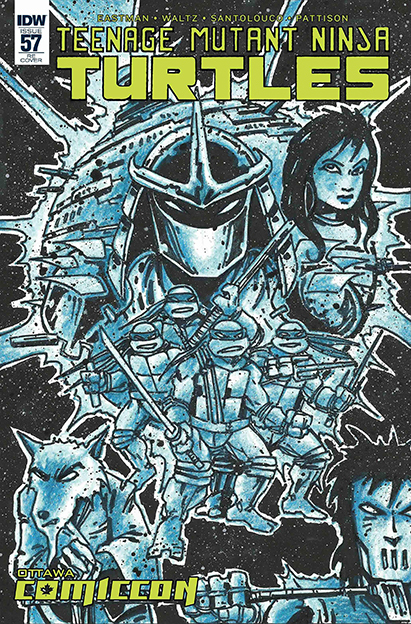 Available exclusively for Team Eastman Fan Club members. 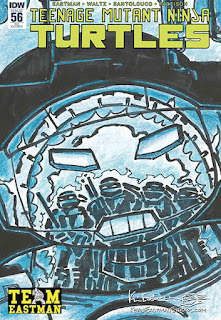 Convention exclusive. Available exclusively at Ottawa Comicon. 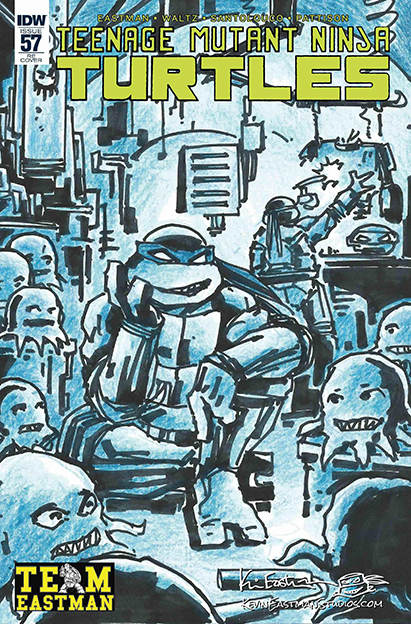 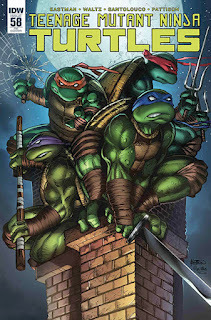 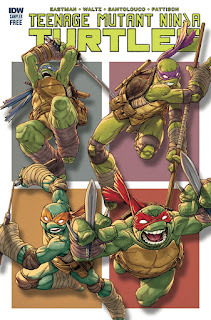 If you haven't heard yet, last week IDW announced that starting in August they will be launching a second on-going TMNT series, titled Teenage Mutant Ninja Turtles Universe. 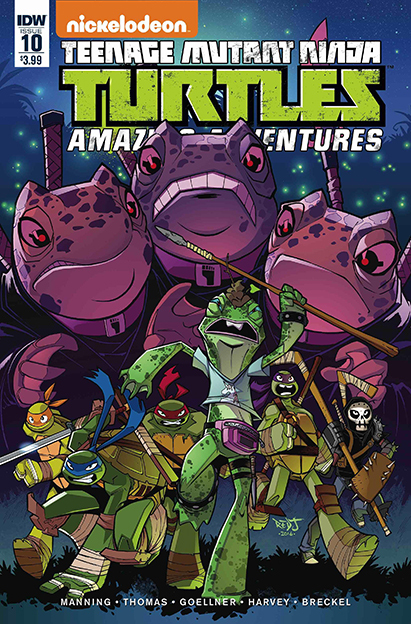 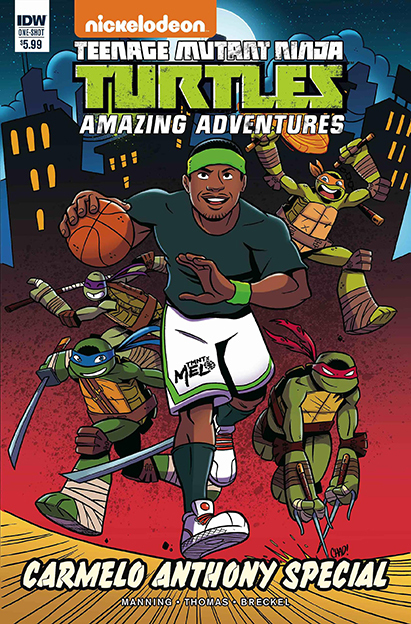 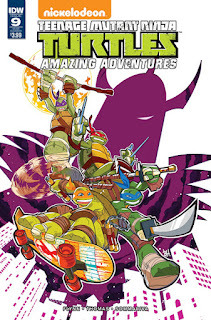 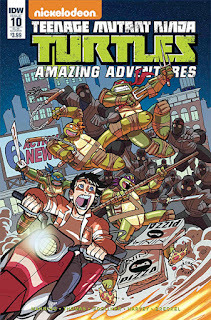 This new spin-off sets itself apart from the ongoing Teenage Mutant Ninja Turtles series by spotlighting characters and storylines that are pivotal to the vast IDW TMNT universe, while also showcasing fan-favorite creators alongside emerging talent. 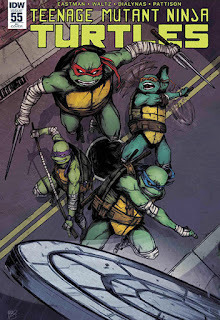 Teenage Mutant Ninja Turtles Universe will explore tales along the entire continuity of the current ongoing Teenage Mutant Ninja Turtles series, which recently hit 56 issues and counting. 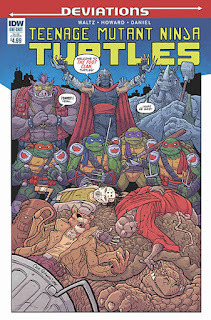 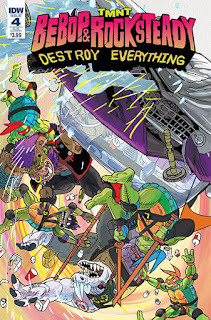 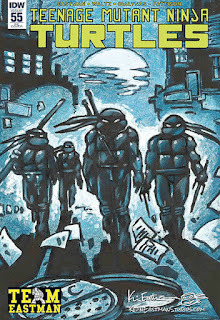 This will mark the first time two ongoing Turtles comics will run in tandem since IDW got involved with the property. 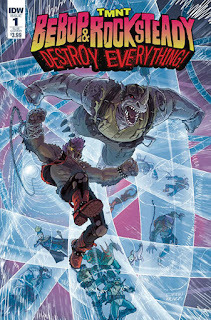 Also noted in the press release is the creative team for the first story arc, which will feature writer Paul Allor and artist Damian Couceiro. 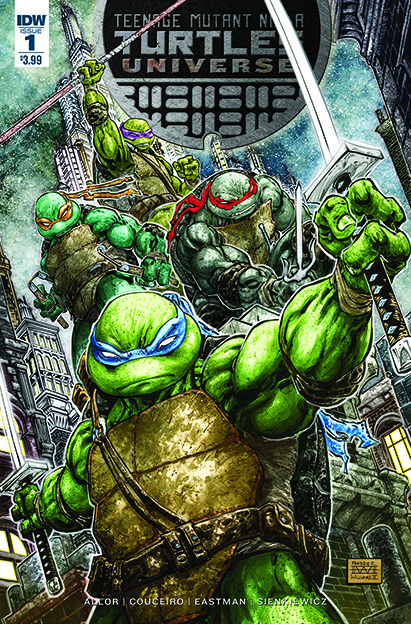 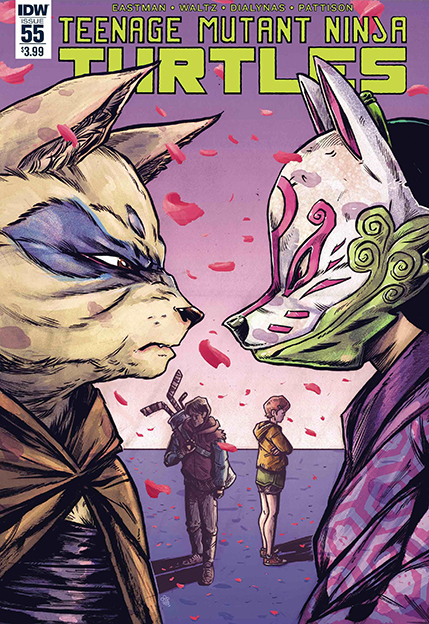 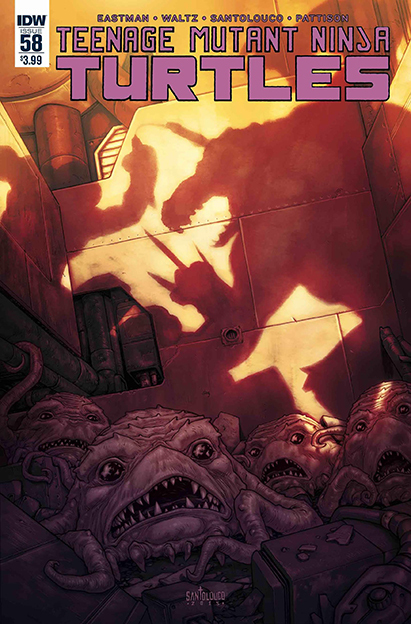 This story will be "centered around a dangerous new Teenage Mutant Ninja Turtles foe—the U.S. 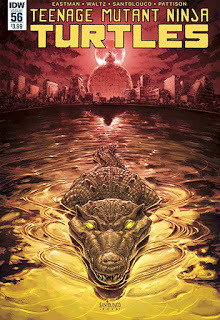 government!" 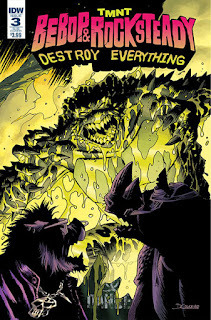 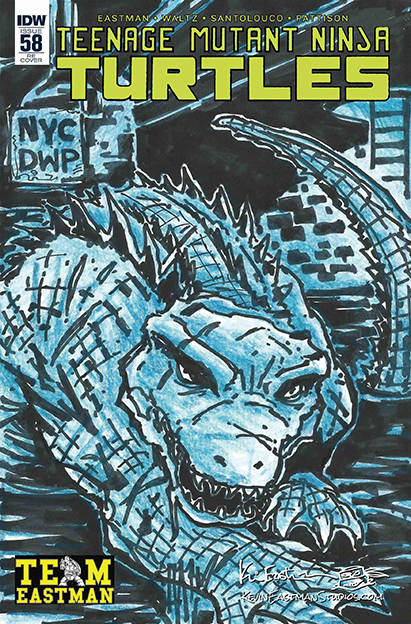 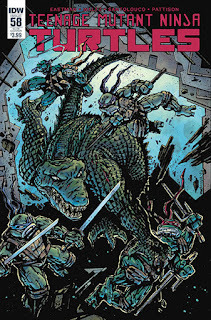 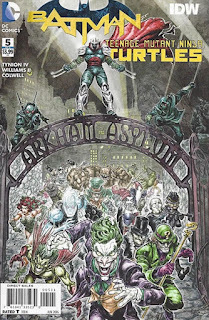 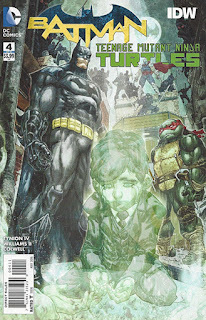 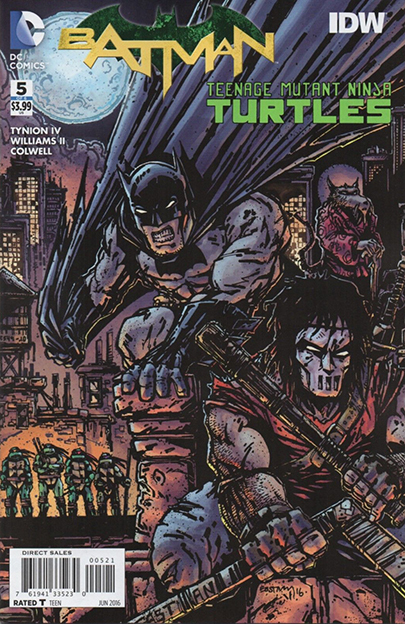 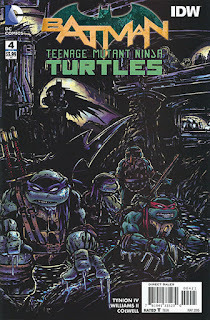 These first issues will also feature a back-up story by TMNT co-creator Kevin Eastman and Bill Sienkiewicz. 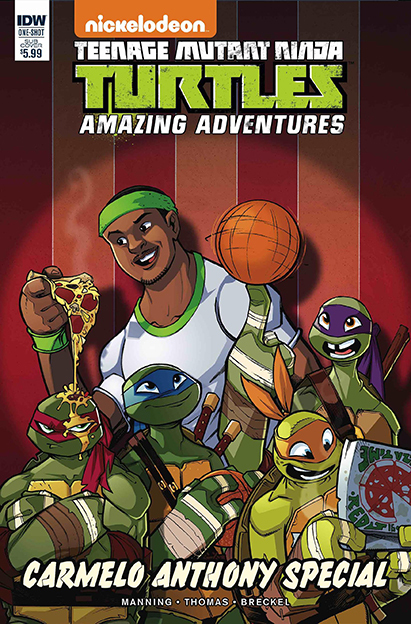 And look for regular cover art by Freddie E Williams II, with a standard set of the variant covers we've come to expect from IDW. 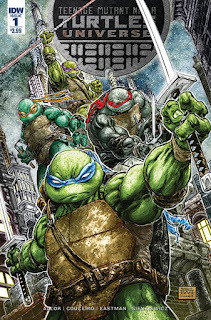 Be sure to tell your local comic shop that you want Teenage Mutant Ninja Turtles Universe, and watch for it to hit shelves in August! 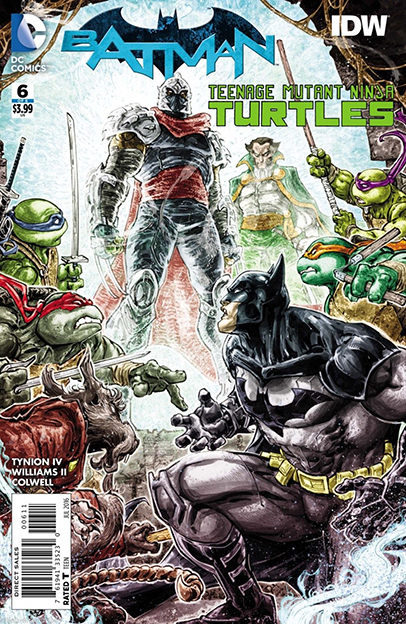 In a world where Shredder leads the Turtles, all hope seems lost! 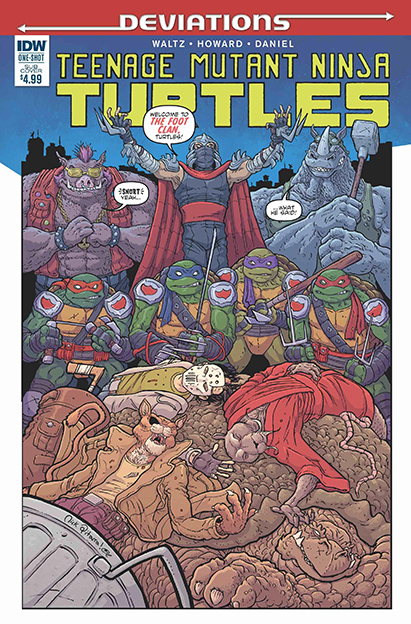 With the Turtles brainwashed to follow Shredder, Splinter forms a new group in a last ditch effort to save his sons… and New York City! 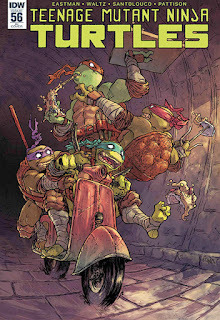 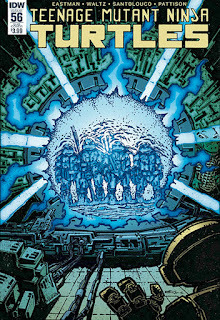 The Turtles return to the Technodrome to monitor the revival of the Utroms. They are surprised to meet a new mutant there—Leatherhead! 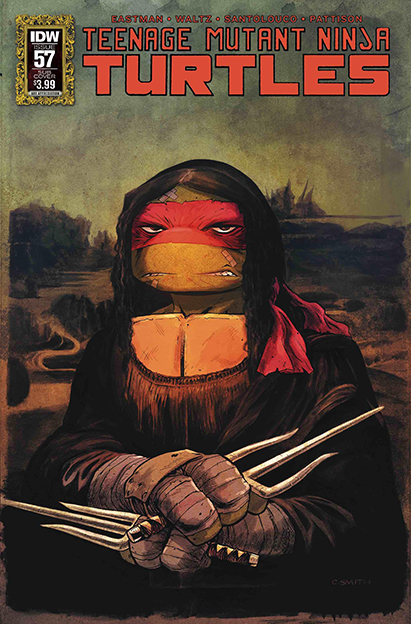 Will the mysterious mutant be friend or foe? 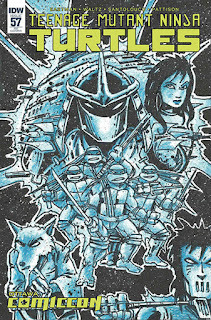 2nd print. 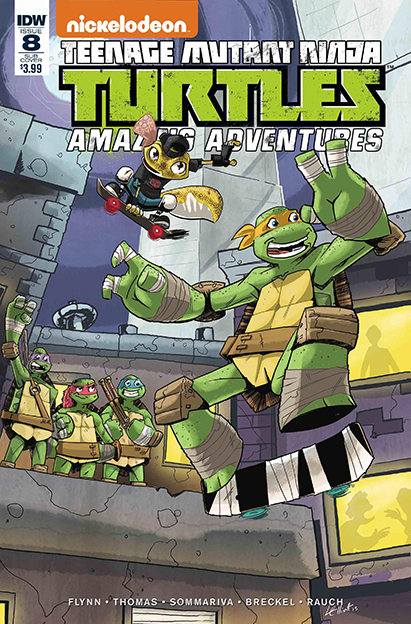 Scheduled for April 20, 2016, release. 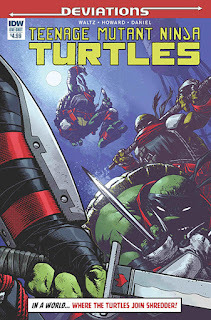 Another book for today's comic haul! 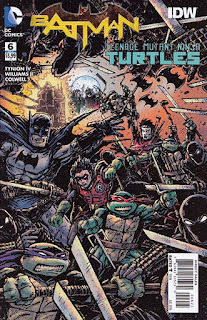 New comic book day! 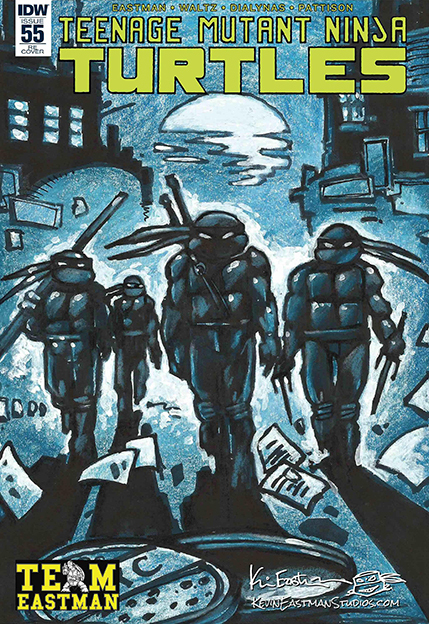 Here's the final part of "City at War." 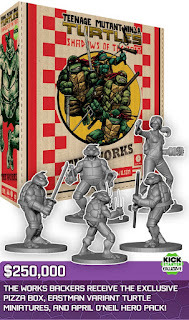 The Kickstarter campaign for the new TMNT board game from IDW Games, TMNT: Shadows of the Past, has been a HUGE success, and an amazing number of bonus content has been added as stretch goal after stretch goal has been achieved. 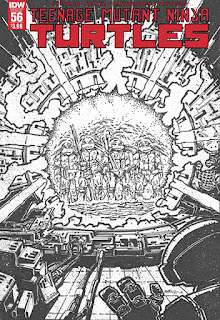 Now, the campaign is in its final eight hours, making this your last chance to get in on all of the exclusive, Kickstarter-only content. 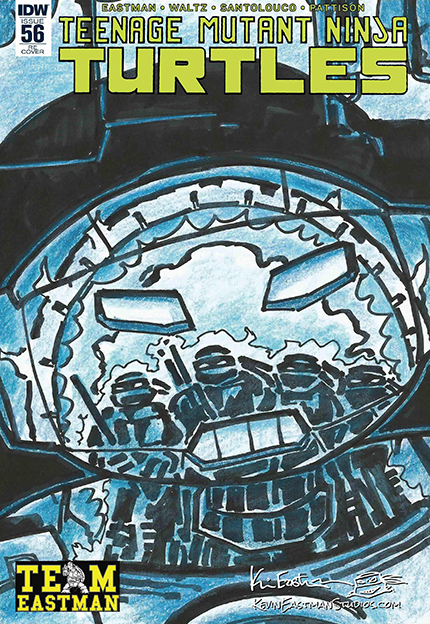 Don't waste a moment and go check out the Kickstarter page for complete details, and then add your support! 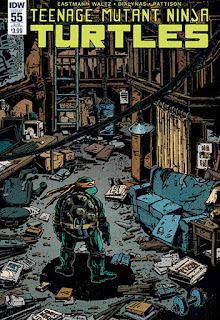 Recent events have strained many relationships amongst the TMNT and their allies. 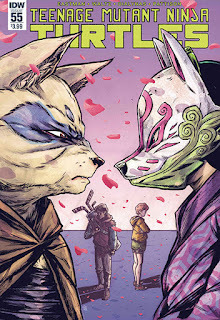 Many must decide whether to trust or to betray, to separate or to stay, and to love or to hate. 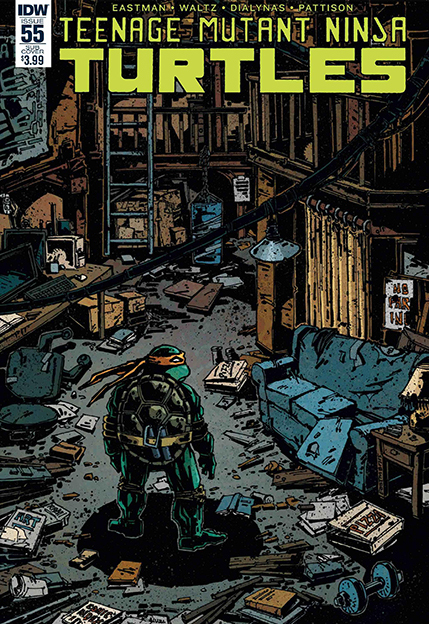 Time takes its toll, but where do the Turtles go from here? Cover D: Robert Atkins, Chuck Arnold, Simon Gough. Retailer exclusive. Available from BlindBoxComics.com. 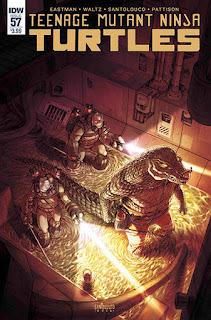 Cover E: Robert Atkins, Chuck Arnold, Simon Gough. 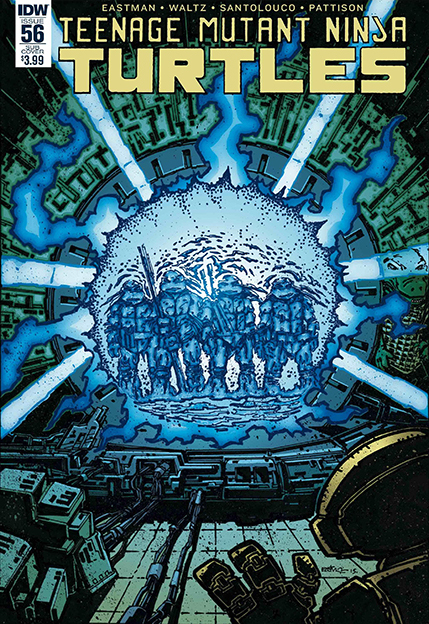 Cover F: Robert Atkins, Chuck Arnold, Simon Gough. 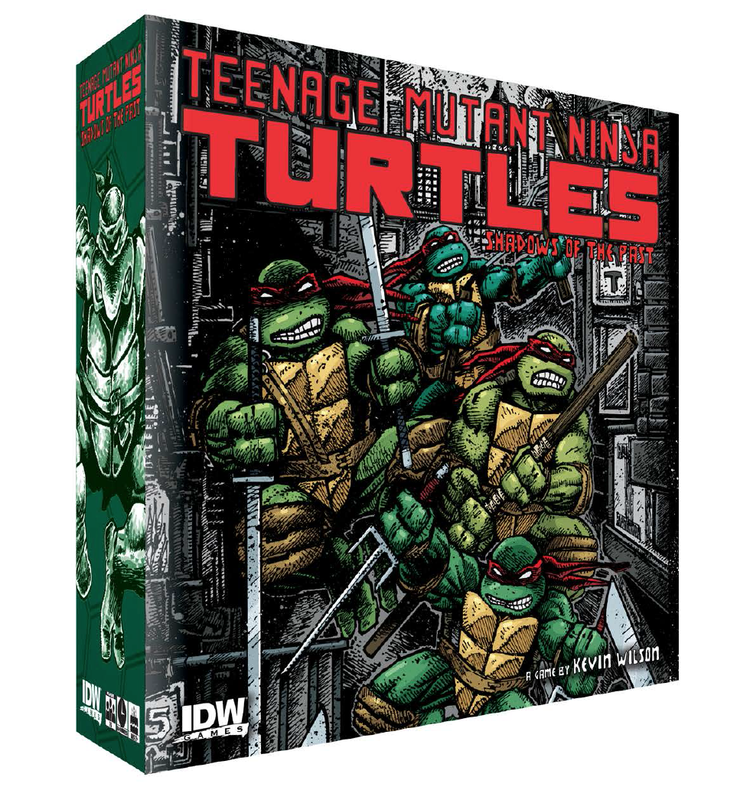 Yesterday, IDW launched a Kickstarter campaign to support the launch of their new TMNT tabletop game, "Shadows of the Past." 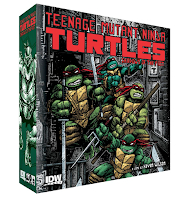 Gameplay details are still forthcoming, but is designed for 2-5 players ages 12 and up. 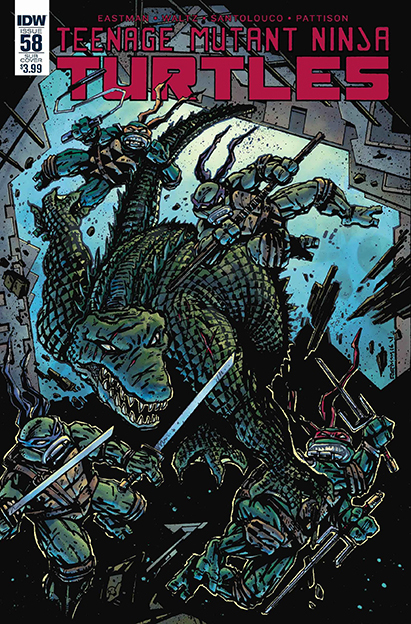 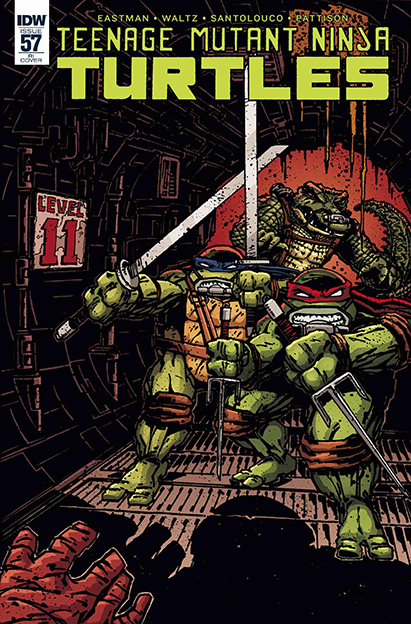 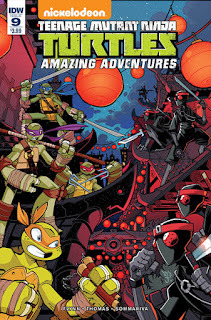 The game is set in the IDW TMNT universe, and each game should last between 60–90 minutes. 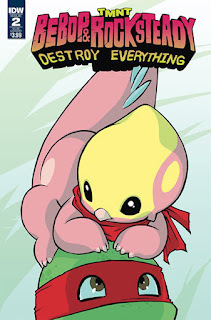 Click here to support the campaign! 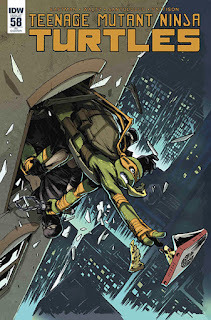 Teenage Mutant Ninja Turtles: Shadows of the Past will feature story content from the hit ongoing Teenage Mutant Ninja Turtles IDW comic. 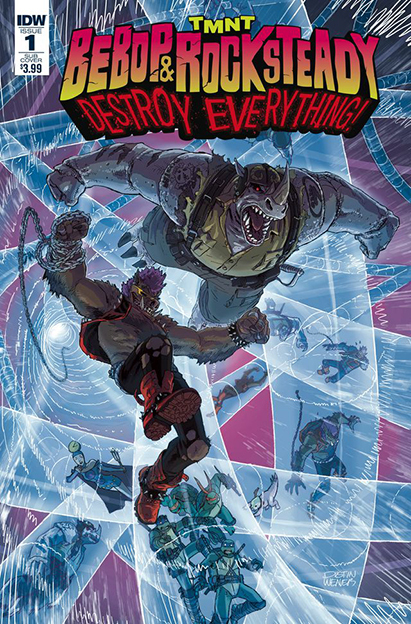 Featuring a lasting story arc, the game allows two to five players will battle their way through a series of 60-90 minute missions with players developing their characters strengths, fighting styles, and equipment along the way. 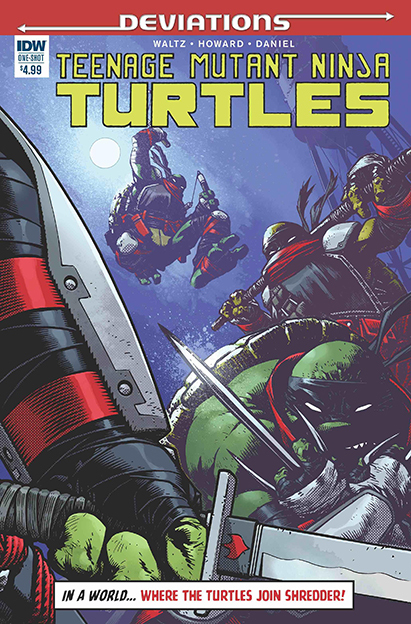 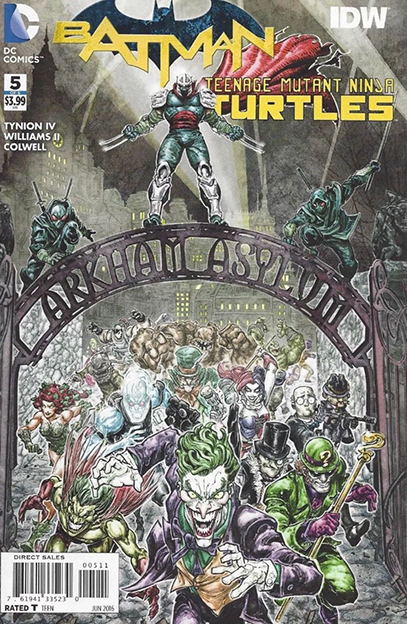 Expect to see all kinds of fan-favorite characters show up as the Turtles call on their closest allies for help in battling their deadliest foes. 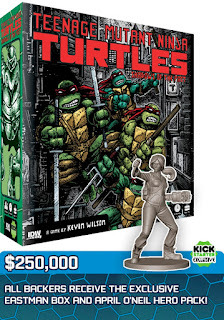 There are two Kickstarter-exclusive versions of the game that you can choose to receive when you back the project. For $90 you can get the standard version with an exclusive box featuring artwork by Kevin Eastman and the April O'Neil Hero Pack. 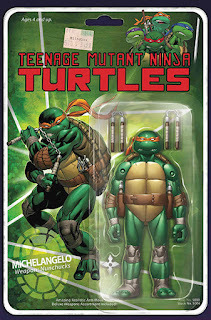 For $150, you get a different box design and Kevin Eastman variant TMNT miniatures, as well as the April O'Neil Hero Pack. 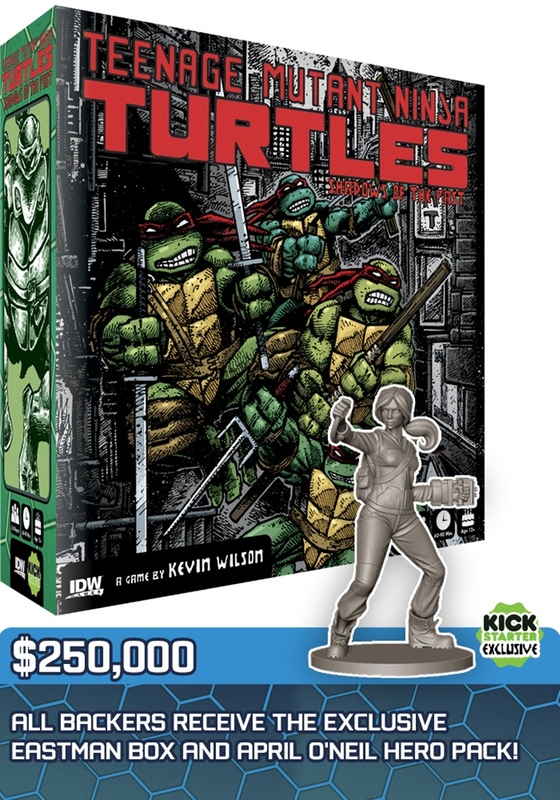 More exclusives will be announced as the campaign meets certain stretch goals. Check out the introduction video from Kevin Eastman below. And keep checking in on the Kickstarter page for more updates and news about more exclusives!